Flightlinez Bootleg Canyon is located approximately 30 minutes outside of Las Vegas in Bootleg Canyon, Boulder City, Nevada. 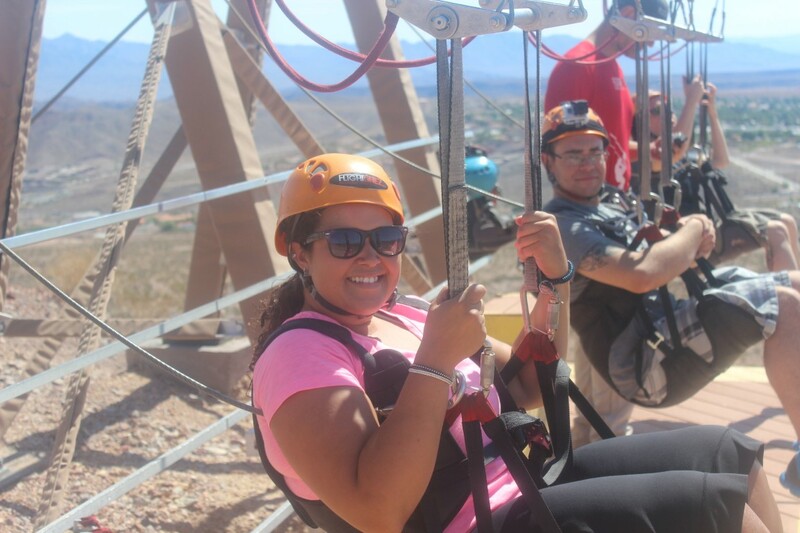 With Flightlinez such a short distance from Las Vegas (and shuttle service provided from Excalibur), Flightlinez is the perfect extreme adventure to get away from all the chaos on the strip. At some point during your Las Vegas experience you might want a break from all the action. 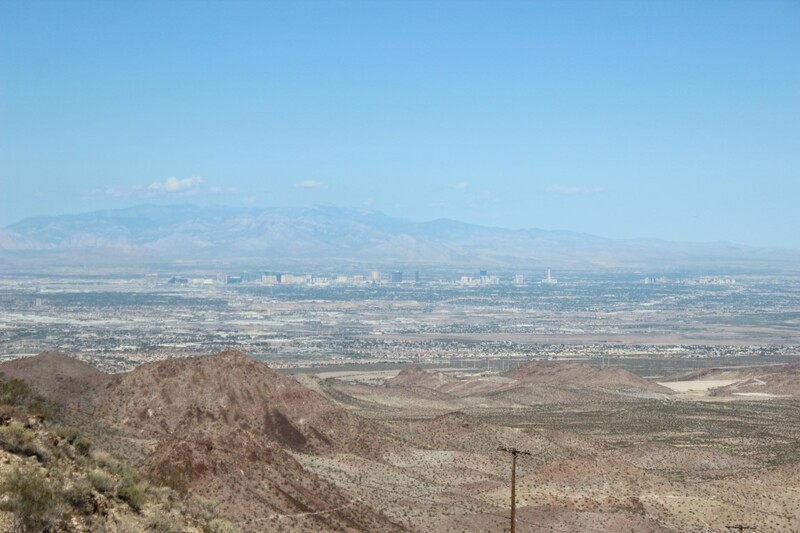 The views atop Red Mountain of: Boulder City, Bootleg Canyon, and Las Vegas was well worth the trip alone. As a Canadian, I was excited to hear that Flightlinez is a Canadian company, with its main office out of Vancouver. The first Flightlinez originated in Whistler, British Columbia on Grouse Mountain. 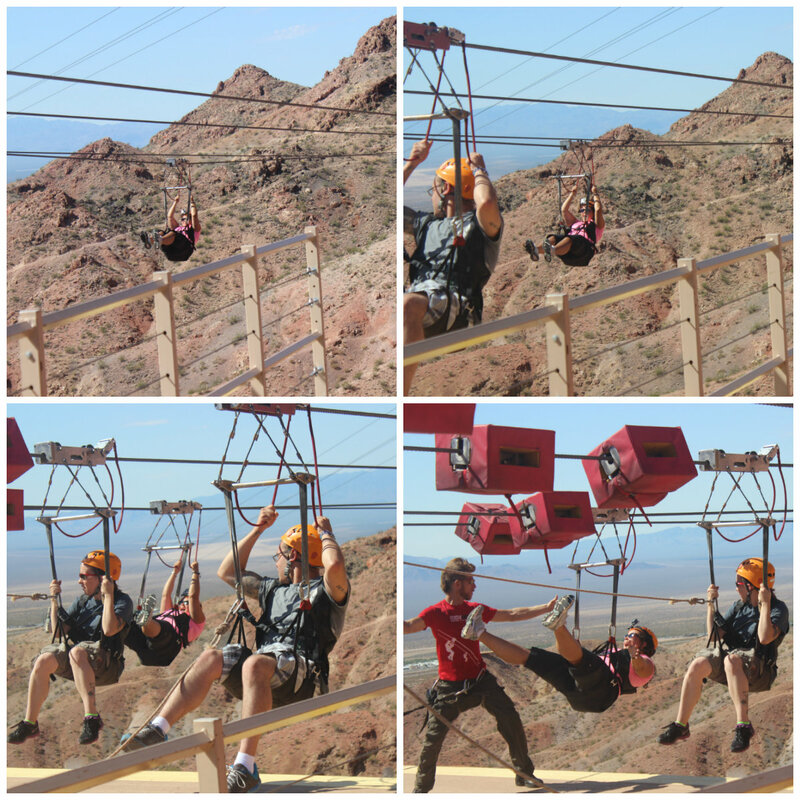 Flightlinez is known as the most exciting zipline course in the world. 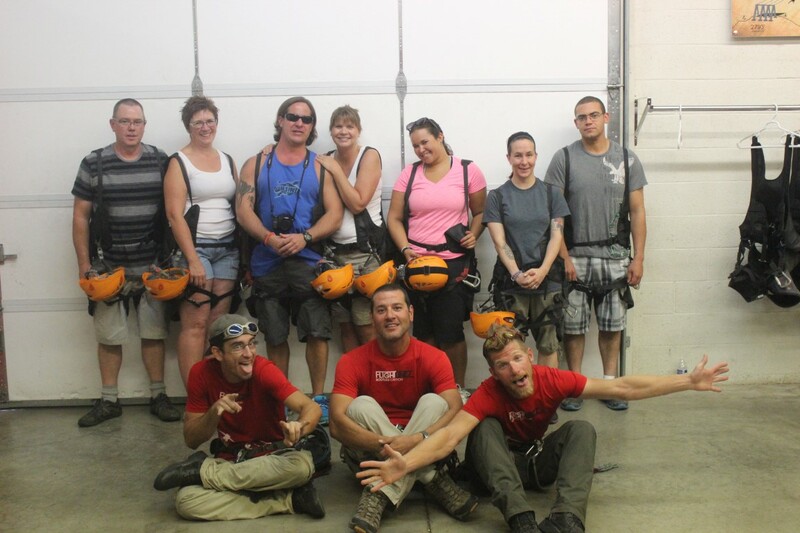 With 9 systems around the world, Flightlinez is more than a zipline; it is known as a flight line because it’s faster! Once passengers are geared up in their parasailing harness, they fly over 65mph down the positive lines. The longest line is just shy of 2 miles long! Zooming over Bootleg Canyon is an experience I will never forget. bootleg canyon, during the time of prohibition, has now been turned into over 40 miles of downhill mountain biking trails below, and with the famous Flightlinez above. Bootleg Canyon is located in Mojave Desert, the largest desert of the three in the United States. Boulder City is the only city in Nevada with no gaming. 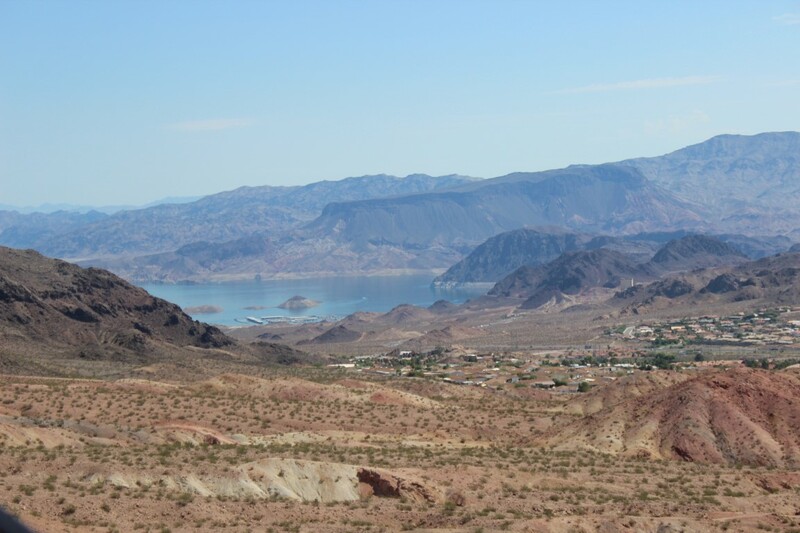 Boulder City is the perfect destination to get away from the business of Vegas! I had the time of my life flying above the brown dusty desert. 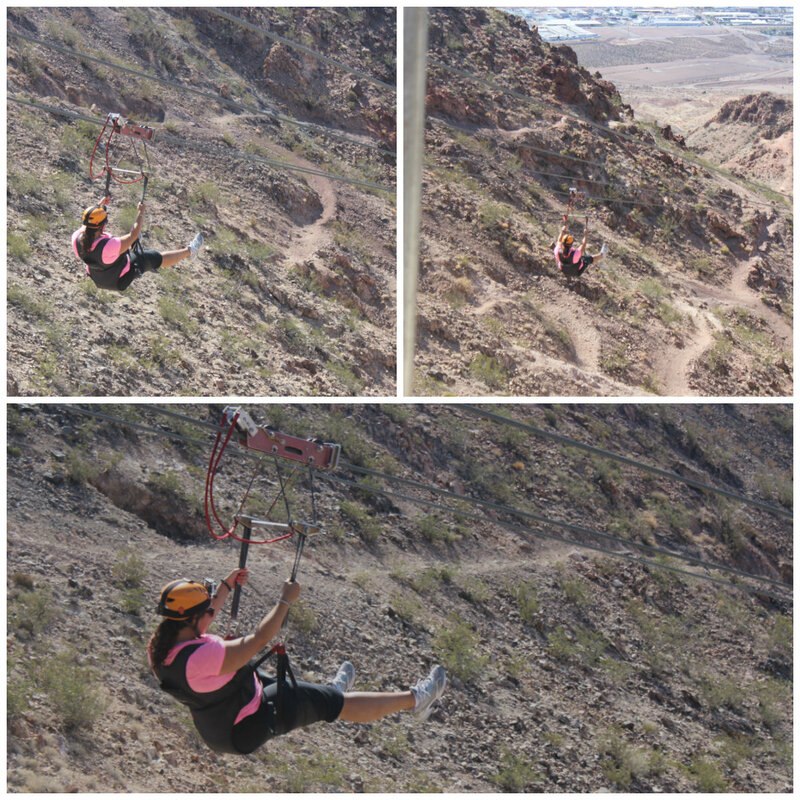 I’ve been ziplining before, but it was never as exciting as with Flighlinez. I’m an adrenaline junkie and the flight lines gave me a thrill. I can’t wait to try it again at the Venice Beach location in California. This entry was posted in Bucket List, Nevada, Reviews, travel, USA and tagged adventure, Bootleg Canyon, bucketlist, experiences, Flightlinez Bootleg Canyon, Las Vegas, Nevada, Travel, Try, Turquoise Compass by Turquoise Compass. Bookmark the permalink. Thanks for reblogging my post! I am glad you liked my article! Happy writing! Well it looks you’re having a lot of fun! You know it. Always looking for something.